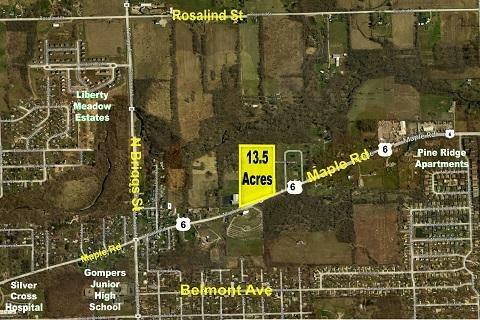 13.5 acres directly on Maple Road with easy access to I-80 and I-355. Close proximity to Silver Cross Hospital. Can be sold by itself or as part of a larger portfolio.